'Cool Zombie' is Adam’s first new single in 17 years. It will be released on the 21st January. But here’s an advance look at the video. This apparently shows Adam performing at a post-apocalyptic, end-of-the-world saloon bar (actually Hoxton Hall, East London). The full video will exclusively be premièred on November 30th - when Adam Ant plays the O2 Shepherd's Bush Empire. 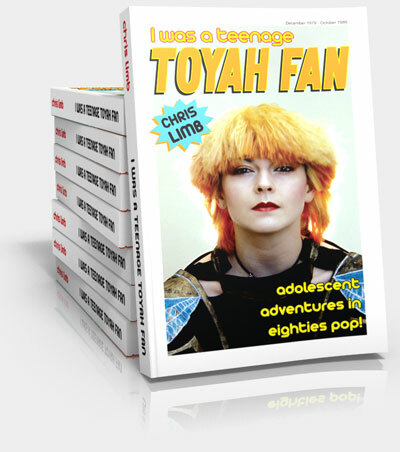 Always nice to et a good review so suffice to say it's great to see a positive review of my book of 80s interviews on the Kajagoogoo-themed Kajafax site. Spotify has just launched a new 'Play' button which lets you embed music into a blog. Well, here's a good track to try it out with. Enjoy! Jason, Sonia, Rick Astley, Pete Burns - together at last! Steps, Jason Donovan, Sinitta and Sonia are among a host of Stock Aitken Waterman acts that will perform at a special reunion concert this summer. The gig will bring together nearly all the artists who found fame on the PWL record label to mark its 25th anniversary. Ricky Astley, Bananarama, Pepsi and Shirlie and Brother Beyond will also feature on the line-up. The concert will take place in London's Hyde Park on 11 July. Howard Jones will be hosting a four-part radio series entitled Electronic 80s with Howard Jones for the UK 80s music radio station Absolute 80s. The hour-long show starts Sunday 4th March at 8pm, with subsequent shows airing on 11th March, 18th March and 25th March. More info on Absolute 80s. See also, my recent interview with Howard. Our debts levelled out at around £600,000 and perhaps the biggest cause of this was my desire for elaborate light shows long after my career could justify it. But even during the early Eighties I spent too much: on one sell-out tour I lost £150,000 due to expensive lighting and production – pure stupidity. He also reveals his plans for the future. Hollywood soundtracks...? 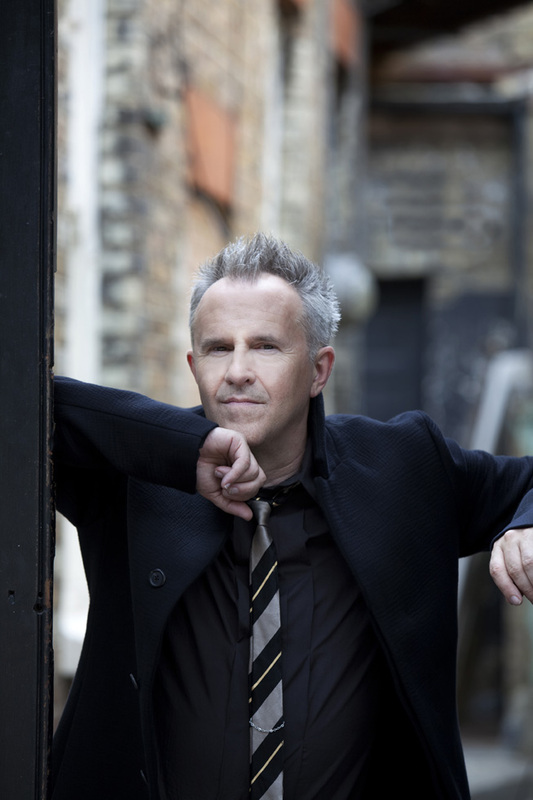 If you are a fan of Howard Jones’s hits from the ’80s, his tour this April, will be an experience you won’t want to miss - because Howard will be performing his first two albums, ‘Human’s Lib’ and ‘Dream Into Action’, in their entirety. The technology must have changed a lot since you first recorded those albums. Do you do everything with a computer these days? “Actually I started working with a Mac and sequencing software in 1985. But in the early days those weren’t available. So I had to use much more primitive technology. In fact , the reason that ‘New Song’ has that short sequence is because the Pro 1 synthesizer only had an eight note sequencer in it. Recently there’s been a bit of a resurgence of interest in the sounds of older type analogue synthesizers. In fact, John Foxx - another great innovator in the 80s - has even done some concerts using analogue synths. I asked Howard if that’s what he plans to do too? In the 80s I was a pop music journalist. In fact, I first interviewed Howard back in 1985. With the resurgence of interest in 80s music, I’m now seeing that many of the people I interviewed almost thirty years ago are back on tour again: Duran Duran, Spandau Ballet, Adam Ant. In fact, just last week Limahl released a single called ‘1983’ all about 80s music. I asked Howard why he thought there was suddenly so much interest in the 80s? Is it just nostalgia or are people really rediscovering the music afresh? Inevitably some people must be downloading your material illegally these days – they’re getting it for free instead of buying your albums. How do you feel about that? I was glancing through an interview I did with you in 1985. I asked you this: “Looking ahead to the future, what do you intend to do when your music is no longer popular? In more basic terms, what are you going to do when your fans start to go off you?” And you replied: “I’ve thought about that, and I realise that sooner or later it’s bound to happen. It happens with everyone, so I’ve set myself a time limit. At a certain stage, I’m going to give up, whatever happens.” Well, you haven’t! Did you change your mind? “I didn’t follow up on that promise, did I? You see, when my deal with Warner Brothers ran out I started my own label and began producing and manufacturing my own records. And that became very exciting. Obviously you don’t have the same high profile – with millions of people following your every move. But you develop a relationship with the people who want to be associated with you and you cater for them. They’re still excited about what you do. Yes, it’s on a smaller scale – but it’s still great to do." Over all those years since the 80s, how much time would you say you’ve spent producing and performing music and how much time have you spent doing other things? Once you’ve finished this tour, you’ll have performed all your most popular music from the 80s. What is there left for you to do next? 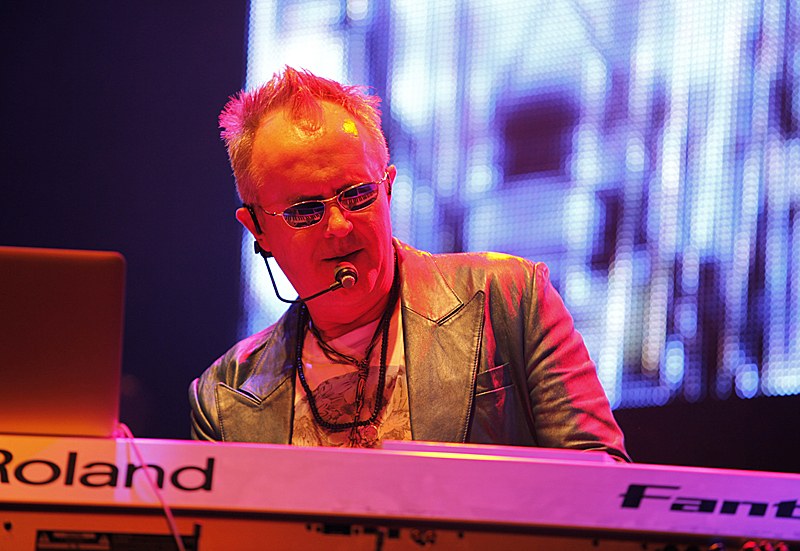 Howard Jones performs the entirety of his albums “Human’s Lib and “Dream Into Action” in the UK during April 2012. Ticket Hotline: 0844 477 2000, www.ticketweb.co.uk. Dates include O2 Academy Bristol (April 11), O2 Academy Sheffield (April 12), O2 Academy Liverpool (April 13), O2 Academy Birmingham (April 14), O2 Academy Newcastle (April 17), O2 ABC Glasgow (April 18), O2 Academy Bournemouth (April 20), O2 Shepherd’s Bush Empire (April 21). 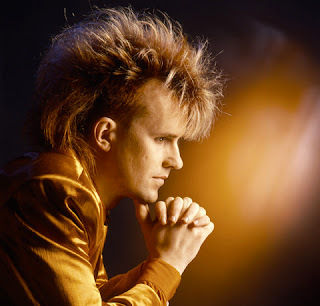 More info: www.howardjones.com.